The death of an autistic child who had been missing for days until his body was found has authorities in North Carolina searching for clues as to how he died. FBI Agent Jason Kaplan said investigators still want to hear from people who were in the Gastonia park last weekend when Maddox Ritch ran away from his father. "In law enforcement, we will not take anything for granted," Kaplan said Thursday, fighting his emotions, at a news conference where officials announced that a body had been found. "So there's a lot of work, and there's a lot of people that have lost a lot of sleep and are committed to continuing to making sure we answer every question that we can about where Maddox was, how his movement occurred and how it was that he ended up where he did." Kaplan said there has been speculation on the actions of Maddox's parents, but he said the investigation is focusing on the child's movements. Specifically, Kaplan said investigators are looking for a man in a white truck who is believed to have seen Maddox before he disappeared. "We still want to hear from the other people who have not reached out to us," Kaplan said. 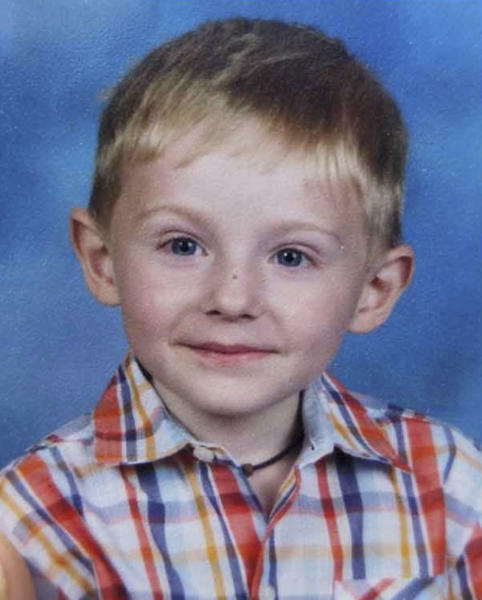 The Gastonia Police Department has led the investigation since the boy disappeared. The FBI assisted in the case. Last Saturday, Ian Ritch said the boy ran off from him and a friend at Rankin Lake Park and disappeared before he could catch up to him. Ritch said neuropathy in his feet brought on by diabetes prevented him from running after Maddox. A person who answered a phone number listed for Ian Ritch hung up on a call seeking comment Friday. Kaplan and Gastonia Fire Chief Phil Welch said the boy's body was found in about 3 feet (0.9 meters) of water in a creek, slightly more than a mile (1.6 kilometers) east of the park, by a searcher who was walking down the middle of the creek as his partners stood on the bank. Welch said the area had been searched previously by drones, all-terrain vehicles, kayak teams and foot patrols. "We were searching on the presumption that he could have moved around," Welch said. Kaplan said while it was too early to determine whether foul play was involved in Maddox's death, investigators would pursue every angle to find out exactly what happened. "Where did he enter, how did he get there, what was the manner of death, what was the cause of death? Was there any crime that was committed, or are we simply looking at an accident," Kaplan said. "Those are very difficult questions to answer, but they are questions that we will answer."